Saxophonist Dave Rempis and drummer Frank Rosaly have performed and recorded together in countless projects since Rosaly arrived on the Chicago scene in 2001, including the Thread Quintet, the Ingebrigt Håker Flaten Quintet, The Outskirts, and The Rempis Percussion Quartet. Both musicians have established themselves as prominent players in the active milieu of the Chicago jazz scene, and spend as much time on the road in North America and Europe as they do at home. 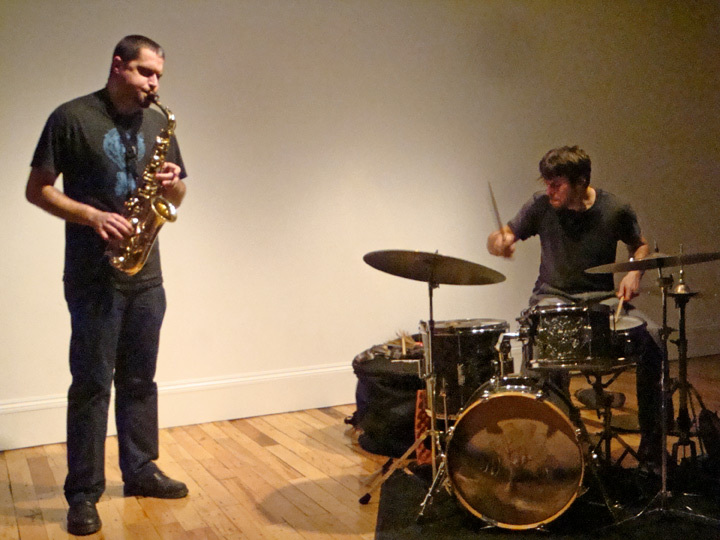 Their duo, active since 2004, focuses on the wide-ranging possibilities inherent to free-improvisation. 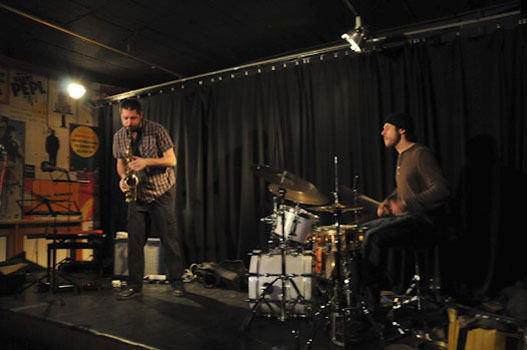 And while both musicians are comfortable in the more abstract sonic spaces pioneered by European improvisers, neither one shies away from hard-hitting grooves, nor are they afraid of melodies or swing. Having allowed this relationship to develop gradually over the years, they released their first cd, Cyrillic in January of 2010, and toured extensively in the United States and Canada in support of that release. They completed their first European tour as a duo with thirteen concerts in April of 2011. In the words of Jeffrey Tambor as the critic Clement Greenberg in Ed Harris’s film Pollock, "There is no representation, just paint." Or, in this case, just sound. This is free music, but also deliberate, disciplined. Like the action painters Clement Greenberg wrote about, Rosaly and Rempis are acutely aware of the relationship of mark to ground, sound to silence.